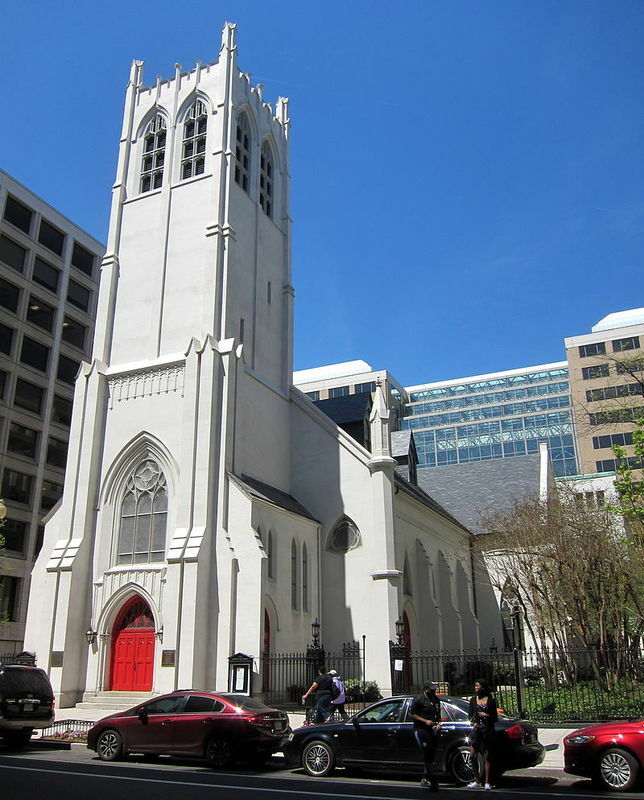 The Church of the Epiphany, built in 1844, is an historic Episcopal church located at 1317 G Street, N.W., in Washington, D.C. 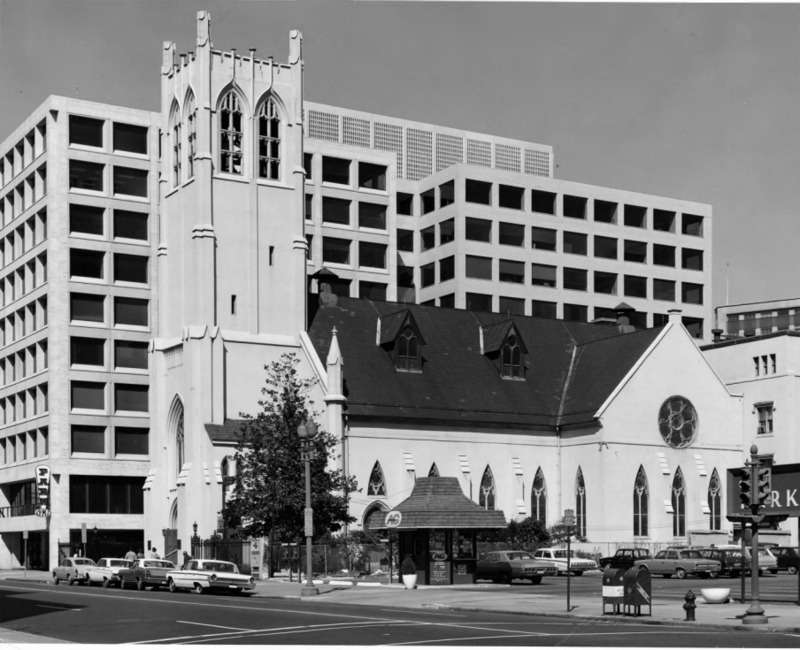 The Church of the Epiphany, an unpretentious Gothic Revival style structure, is located at 1317 G Street, N.W. The main' entrance of the church faces south on G Street. The church plus an addition to the rear containing the parish hall, offices, cafeteria and other facilities. The belfry, contained in the tower, is defined by eight open lancet windows with simple tracery, two to a side. At street level, the entrance to the narthex is a large two leaf pointed door which is framed by a compound arch. Above the arch there is a delicate, decorative blind arcade which supports the large south lancet window of stained glass with slender mullions and simple tracery, framed by a stone compound pointed arch. The narthex itself is four bays deep, with two short lancet windows over an entrance door on both east and west sides, plus two narrow lancet windows. The nave is defined on the south facade by two polygonal towers which culminate in stone finials on both the east and west corners on the building. The interior of the church is in the form of a Latin cross with a long nave, short transepts and a recessed chancel. The nave has a center and two side aisles. One of the most attractive interior features of the church is the dark stained open ceiling of hammer beams with arcade pendant posts. The ceiling together with the dark pews provides a striking contrast to the cream colored plaster walls. 1317 G St NW, Washington, DC 20005 ~ Please be mindful that this is a religious space. 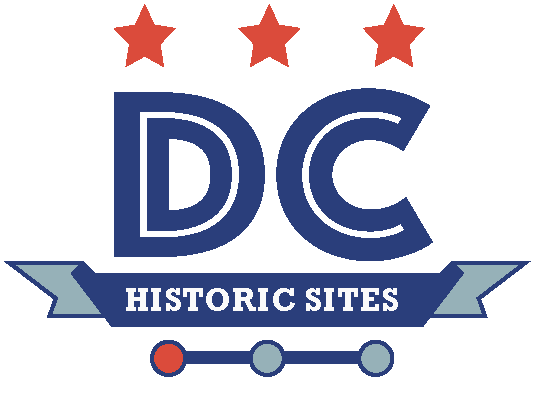 “Church of the Epiphany ,” DC Historic Sites, accessed April 24, 2019, https://historicsites.dcpreservation.org/items/show/797.